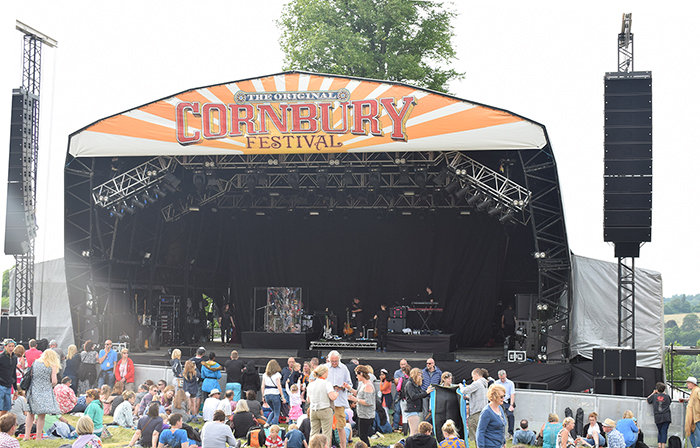 Ahhh Cornbury – our hearts gave anxious flutters when we heard a wicked rumour it was to be cancelled. Thank goodness, it wasn’t. This is just a great day out – actually we’d recommend taking the weekend, with gorgeously green camping grounds and a cooked breakfast ingredients provided for the family at just £10 from Milk & More, this is a great way to escape the smoke and smells of the city. – last but not least, incredibly, there are plenty of clean toilets, easily accessed without queuing! For a bespoke festival the line up is excellent. No one less than the amazing Alanis Morrisette played on Saturday, with Deacon Blue bringing down the house on Sunday evening, for us, of the slightly more mature and discerning age group ;? ), it was simply perfect, and we were not alone as approximately x no. of people sang, shouted and stomped along with us enjoying the enduring high quality performances from these bands particularly. The kids provision is definitely one of the best we’ve seen, so much arts and craft – make your own hairband; make balloon animals; create your own music, see a circus show, giants abound which make for a great photo and oither adhoc shows throughout the weekend that our children just loved and they are somewhat picky, given the trade we are in.